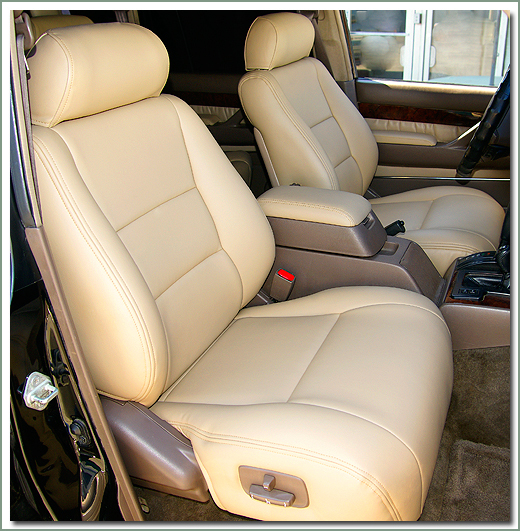 Improve and upgrade your old worn out factory leather interior with SOR's New 80 Series Luxury Upholstery Sets. 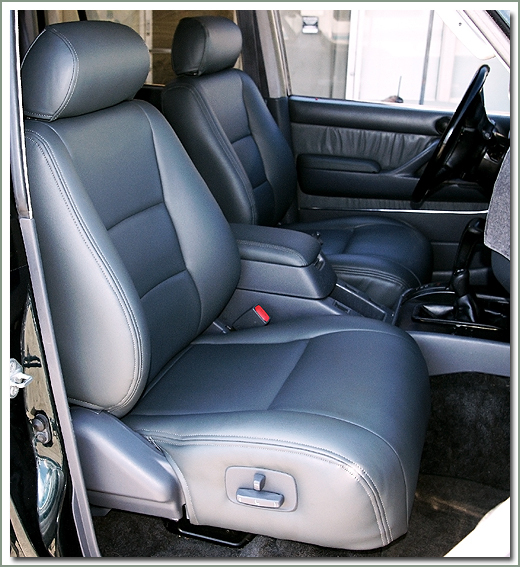 These sets fit 1993-1997 80 Series with OEM factory leather interior with electric adjustable seats. 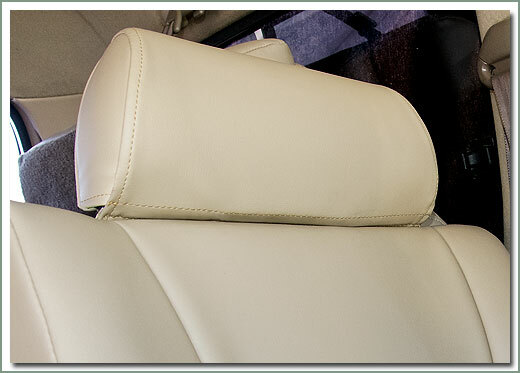 These luxurious new seat covers are soft as leather but much more durable. We even feel that these new seat covers look as good as or better than the original factory interior. 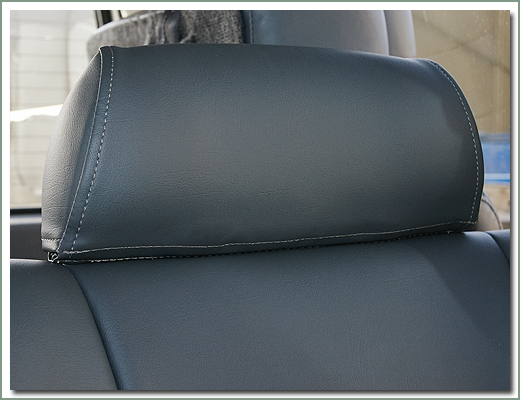 These beautifully hand crafted upholstery sets are tailor fit for your Land Cruiser wagon, made to original factory specs, designed to fit with new bottom molded foams (see part #308-495). 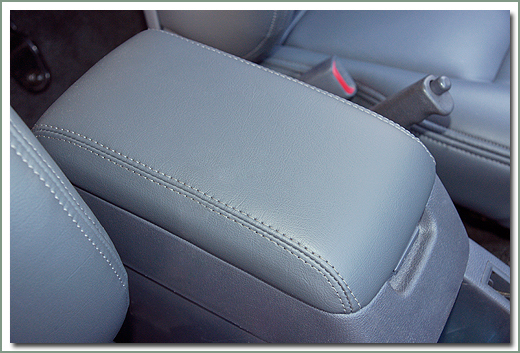 New seat foams ensure you have a snug comfortable fit. 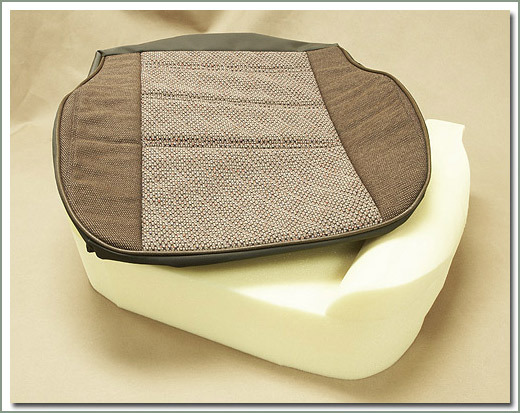 Front seat cover set includes 4 pieces, 2 bottom cover, 2 seat back covers. 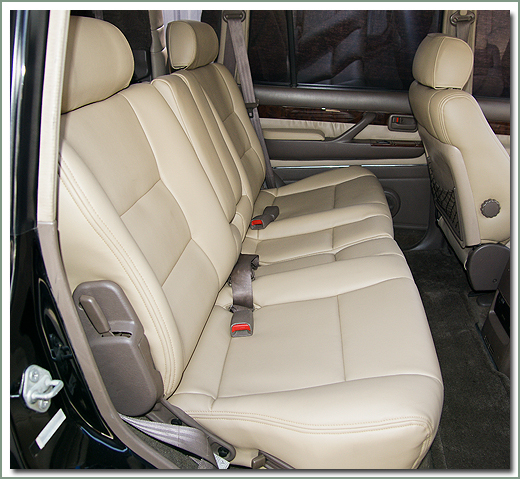 The rear seat cover set includes 6 pieces, 2 bottom seat covers, 2 bench seat back covers and 2 folding arm rest covers. 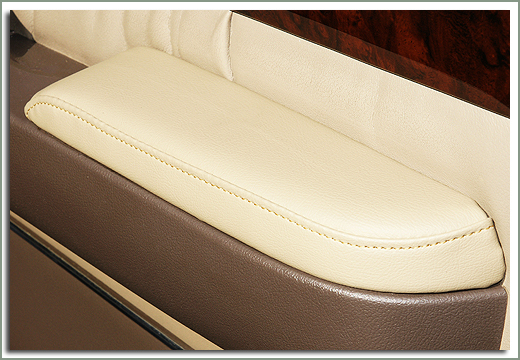 Matching headrest, console and door armrest covers are also available and are sold separately. 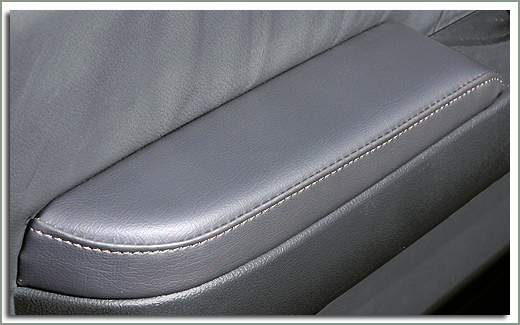 These sets are designed to replace factory leather covers. Each set comes with detailed instructions complete with color photos. Fits 93-97 FZJ80 & 96-97 Lexus LX450 (OEM Factory Leather Interior & Electric Adjustable Front Bucket Seats ONLY) - Does NOT fit OEM Seat Covers - Updated, fits with SOR Luxury Upholstery ONLY - Left Side. 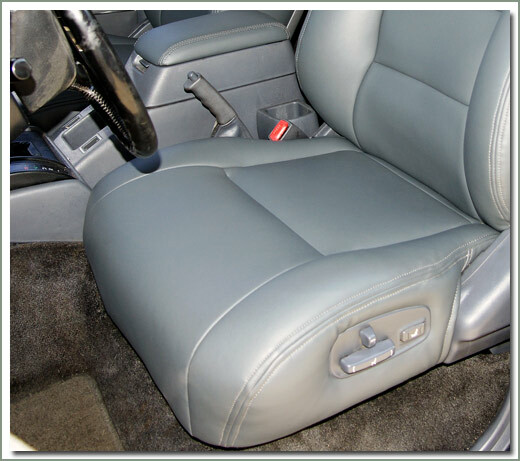 Fits 93-97 FZJ80 & 96-97 Lexus LX450 (OEM Factory Leather Interior & Electric Adjustable Front Bucket Seats ONLY) - Does NOT fit OEM Seat Covers - Updates, fits with SOR Luxury Upholstery ONLY - Right Side. Fits 93-97 FZJ80 & 96-97 Lexus LX450 (OEM Factory Leather Interior & Electric Adjustable Front Bucket Seats ONLY) - Sold in a pairs. 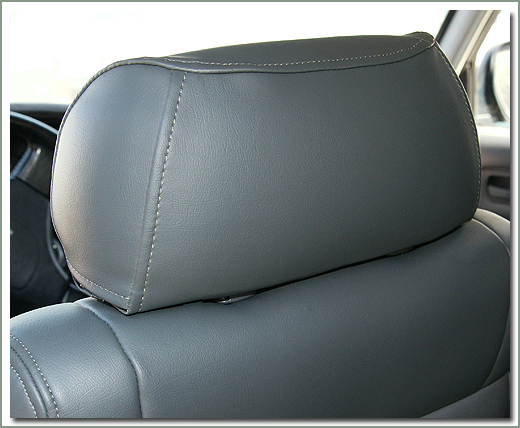 Fits 1993-1997 FZJ80 ONLY (NOT Lexus LX450) mid passenger headrest (OEM Factory Leather Interior & Electric Adjustable Front Bucket Seats ONLY) - Sold in a pair. 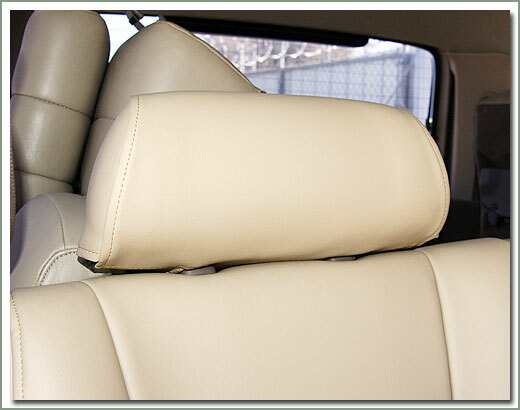 Fits 1996-1997 Lexus LX450 ONLY (NOT Land Cruiser FZJ80) mid passenger headrests (OEM Factory Leather Interior & Electric Adjustable Front Bucket Seats ONLY) - Sold in a pair. 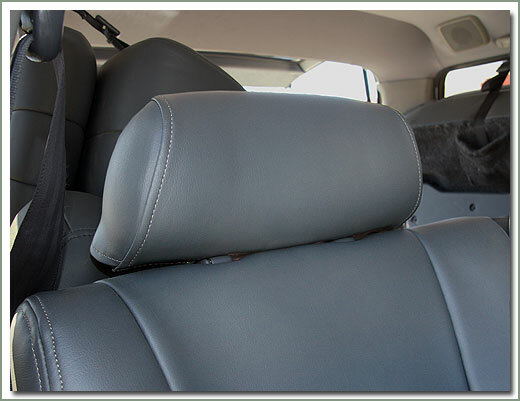 Fits 1996-1997 Lexus LX450 ONLY (NOT Land Cruiser FZJ80 ) mid passenger headrests (OEM Factory Leather Interior & Electric Adjustable Front Bucket Seats ONLY) - Sold in a pair. Fits 93-97 FZJ80 & 96-97 LX450 armrests (OEM Factory Leather Interior & Electric Adjustable Front Bucket Seats ONLY) - fits front or rear door armrests. Sold in a pairs. Fits 93-97 FZJ80 & 96-97 Lexus LX450 armrests (OEM Factory Leather Interior & Electric Adjustable Front Bucket Seats ONLY) - fits front or rear door armrests. Sold in a pairs. 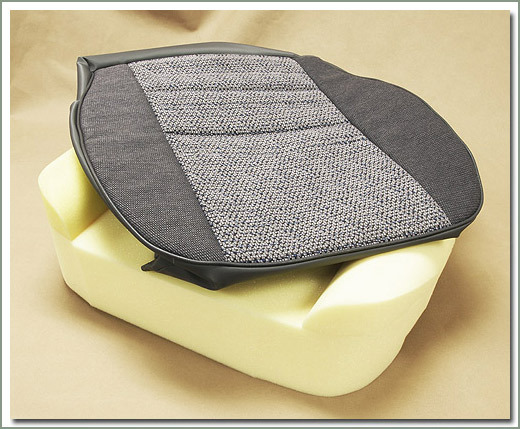 Fits 1993-1997 80 Series with original grey leather factory upholstery - Replacement flaps protect the bottom seat foam cushion. 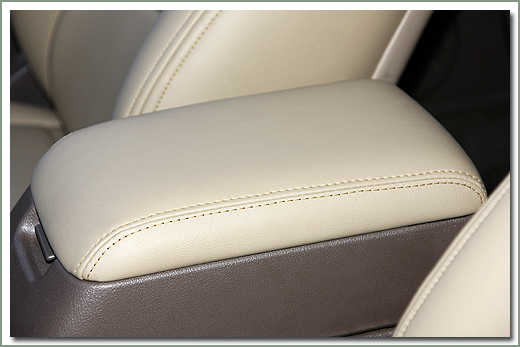 Perfect solution if your flaps have been damaged or scuffed from passengers kicking the backs of the leather panel. Sold as a pair. 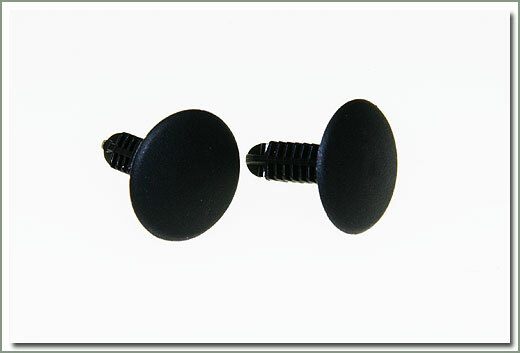 Finish off the installation by also replacing the retainer clips, order part#118-29M separately. 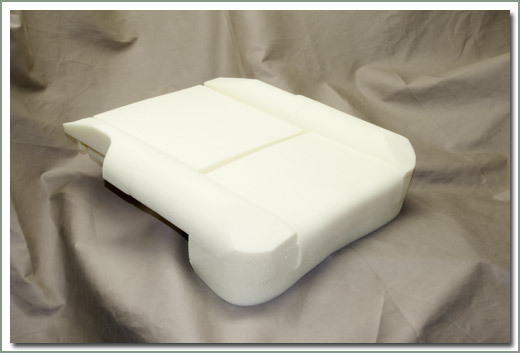 Fits 1993-1997 80 Series with original oak leather factory upholstery - Replacement flaps protect the bottom seat foam cushion. 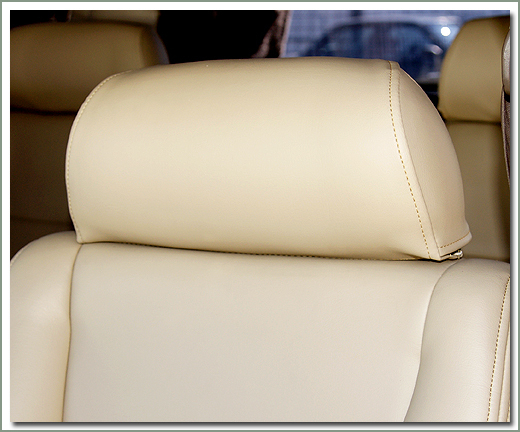 Perfect solution if your flaps have been damaged or scuffed from passengers kicking the backs of the leather panel. Sold as a Pair. 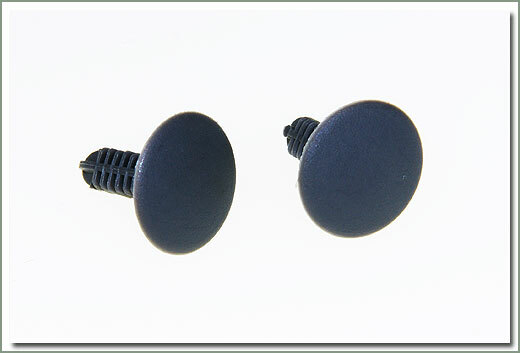 Finish off the installation by also replacing the retainer clips, order part#118-29M separately. fits 8/93-1/98 FJ80 - qty 2 required. Fits 8/92-1/98 FJ80 - qty 2 required. Fits 1/95-1/98 FJ80 - qty 2 required. 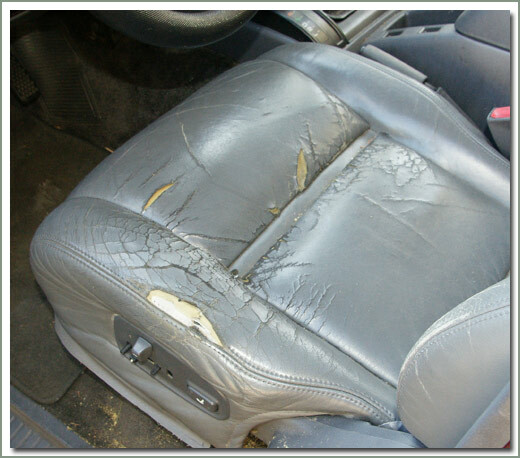 Do you notice your 80 Series seats just are not what they use to be, time alone deteriorates the foam. 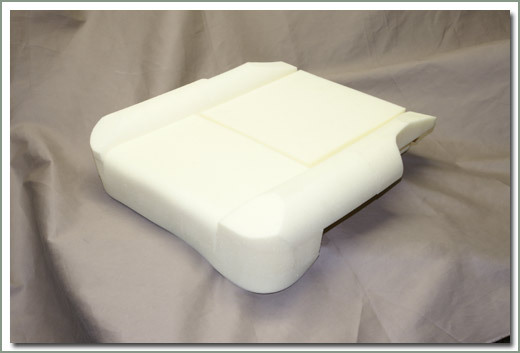 Renew your old worn out factory bottom seat covers and foam. 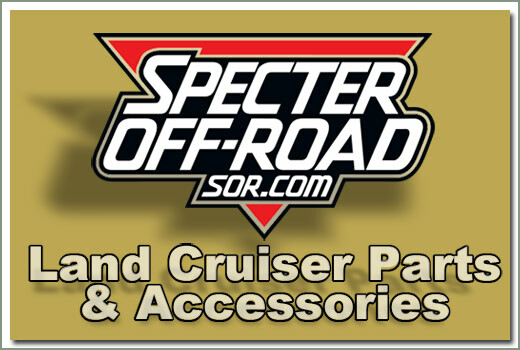 Make your seats look and feel like new with SOR's replacement bottom seat cover and bottom foam kit. 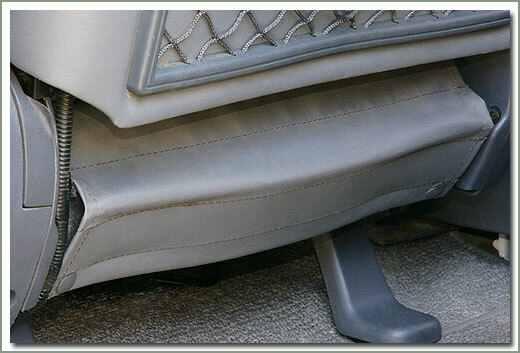 SOR has a re-worked bottom seat cover sewn with OEM factory material from other factory interior pieces. New welting and vinyl skirting. Fits 1/90-8/92 FJ80 brown or gray OEM tweed fabric. 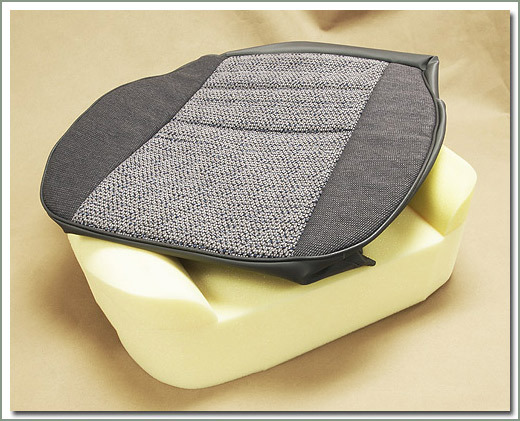 fits 1/90-8/92 FJ80 Drivers Side Bottom factory grey tweed fabric seat upholstery with replacement foam. Comes with hog rings for installation. 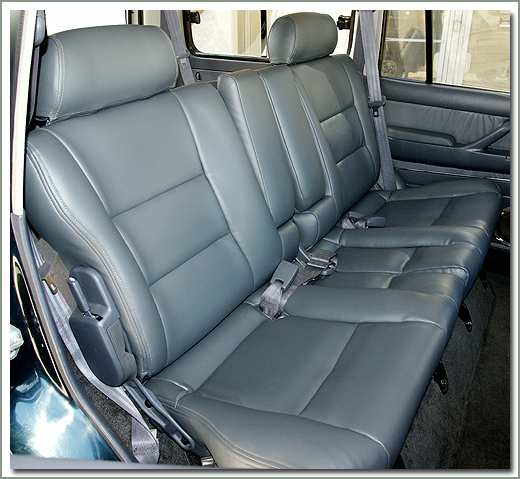 fits 1/90-8/92 FJ80 Passenger Side Bottom factory grey tweed fabric seat upholstery with replacement foam. Comes with hog rings for installation. 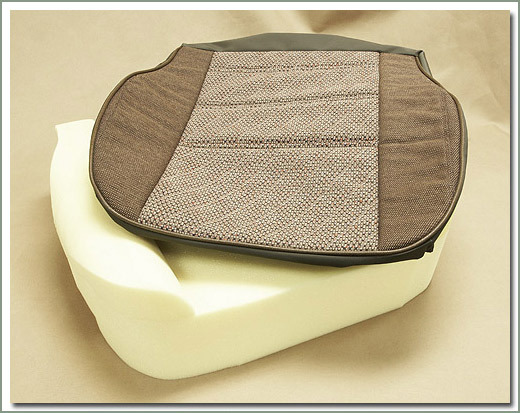 fits 1/90-8/92 FJ80 Drivers Side Bottom factory brown tweed fabric seat upholstery with replacement foam. Comes with hog rings for installation. 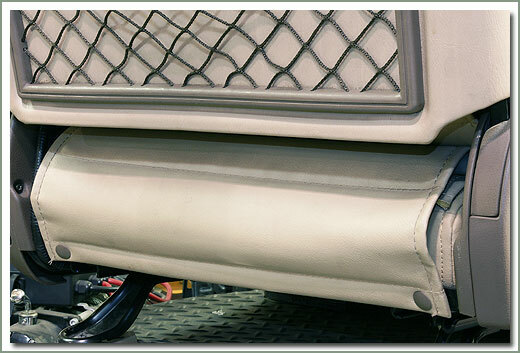 fits 1/90-8/92 FJ80 Passenger Side Bottom factory brown/sable tweed fabric seat upholstery with replacement foam. Comes with hog rings for installation.